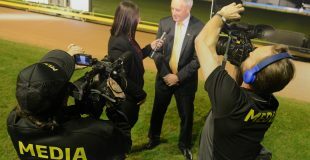 While some of the country’s fastest chasers contested the night’s two feature races last Thursday night, one of the night’s most remarkable achievements came from an unheralded chaser in the night’s final event. Just a month shy of his fifth birthday, Cosmic Collinda upstaged his younger rivals by turning in his career best run, jumping to the front and leading all of the way to score in 29.74. He wasn’t just a little bit older than his rivals either – just two of his opponents were born when he began his racing career in October 2015. In March 2017 he won his first – and until Thursday night, only – city race but broke a hock soon after resulting in five months on the sidelines. At three years and eight months of age, he returned to the track, just as his rivals from Thursday night were beginning their careers. “He has been running good. 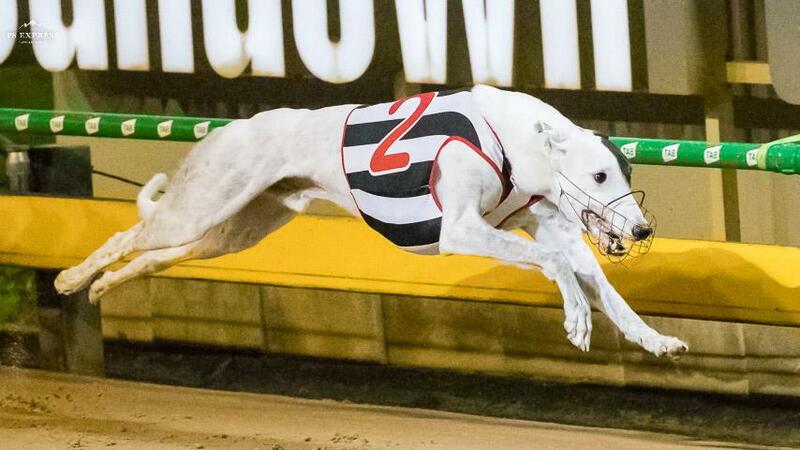 That’s what he would have ran when he was younger so he’s held it together,” said proud handler Laurence Cameron, whose daughter Stephanie Tyler trains the greyhound. On cue, Ian dropped by to see Cosmic Collinda – ‘Bear’ as he’s known away from the track. The reaction between man and dog was a joy to watch with the pair clearly sharing affection for one another. “Hey Bear, how you doing beautiful, hey, you’re a beauty,” Ian said as ‘Bear’ wagged his tail furiously. Then, at 11.30pm – eight hours after leaving home and long after the Australia Day meeting crowd had departed – Cosmic Collinda and his crew headed home. But Cameron had to make a stop before returning to Boisdale. On and off the track, Cosmic Collinda is a winner.